Want to save a webpage for future reference? A great option for preserving information you've found on the web and sharing it with others is to save the webpage as a PDF on Mac. Plus, it's pretty easy! All you need is the right software to help you out. With the right program - such as PDFelement for Mac you can easily save a webpage to PDF, as well as edit it and send it to others. The best solution for saving a webpage to PDF on Mac is PDFelement. This all-in-one PDF solution offers so many advanced editing and creation features at a fraction of the cost of other programs. It is the ultimate tool when you need to perform one of these tasks on your PDF document. When you need to edit the text or images within your PDF document. You can add, remove, or format text and graphics any way you want. When you need to convert certain documents to PDF. This is essentially what you will be doing when you save a webpage as a PDF, and you can do it with other formats as well. It is also useful when you want to rearrange the pages of a PDF. You can crop, edit and even delete entire pages from your document. And last but not least, you can use PDFelement for Mac to protect your document by adding passwords and signatures. To start using PDFelement for Mac, you'll first need to install the program on your computer. Then follow these simple steps to save the webpage as a PDF on Mac. Open the webpage on Safari, and click "File" on the top toolbar. Choose "Save As" and select a location to save it to before clicking "Save". Launch PDFelement for Mac. From the home screen, click on "Create PDF." This will let you open a document from your local folder. Select the webpage you just saved and then click "Open" to open it in the program. The webpage will be automatically converted to PDF. Alternatively, you can click "File > Create > PDF from File" or tap the "Command + N" keyboard shortcut to open the desired file. Then proceed to select the webpage from your local files to open. Again, the document will automatically open in PDF format. Save the document as a PDF by holding down the "Command + S" key on your keyboard. You can also click "File" and "Save". 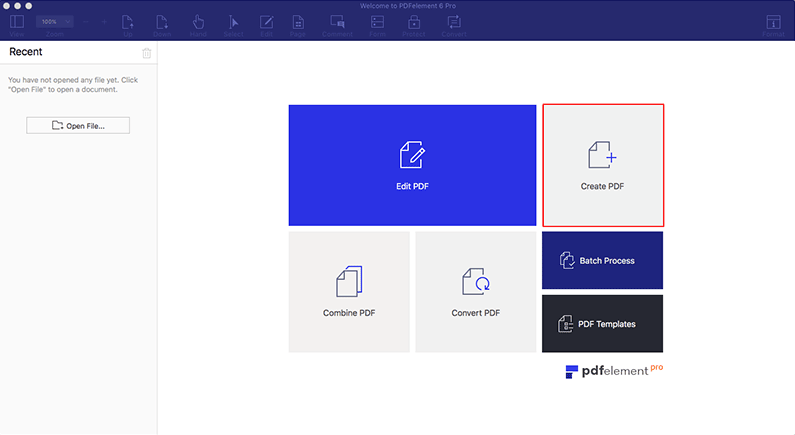 PDFelement for Mac allows you to make alterations to your newly created PDF file as well. All you have to do is click on the "Edit" tab to make the changes. Once you're done, you can save the file.